MySQL is currently one of the most popular relational database management systems (RDBMSs) in the world. MySQL is available for a variety of platforms, including Linux operating systems such as CentOS. User names allow the system administrators in MySQL to control the access that each user has. Each end user should have an individual user name so that administrators can determine which user has performed a particular action. 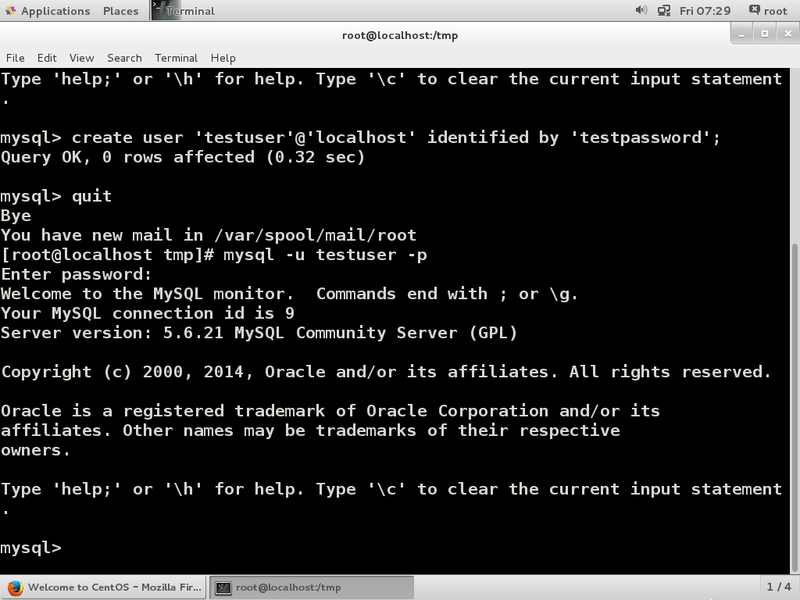 Adding users in MySQL is a routine administrator task that requires root access. Here is a quick tutorial on how to add a new user in MySQL. Enter the password for root when prompted. Enter the password 'testpassword' when prompted.